If you listen closely, you can hear the sounds of pitchforks being sharpened. League of Legends broke new ground today by killing off one of its characters in the lore, not to mention the game itself. 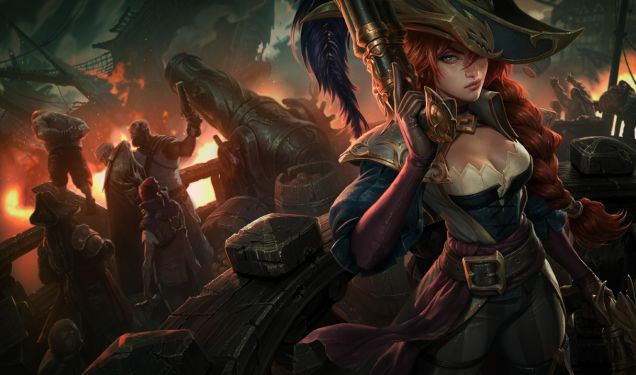 Players logging in today will find that Gangplank is no longer available to play, due to an untimely death from another League character Miss Fortune. Players logging in today will find that Gangplank has been disabled from play, with Riot Games asking for a few days of patience before further information is released. The good news is that it appears Gangplank’s removal is only temporary. Buzz on the forums points to the likelihood of Gangplank returning in an undead form, allowing the lore of League to progress while still allowing players access to the character and costumes that they spent real money for.